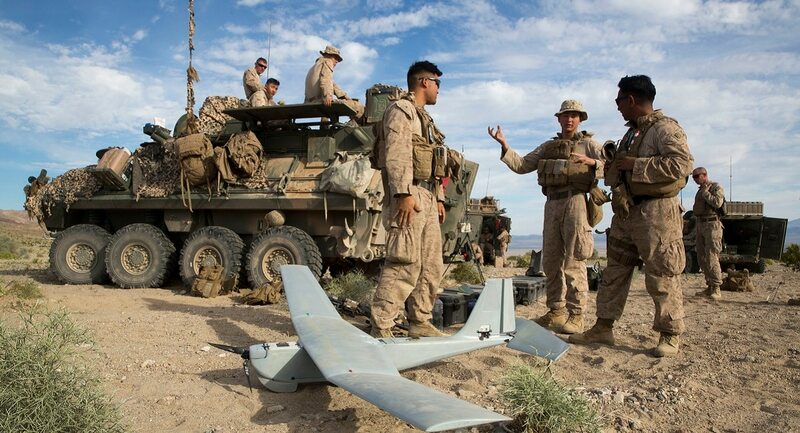 A briefing to Congress in January 2018 on the Corps’ family of small tactical droneshighlighted the Marines’ desire to incorporate thousands of drones from the battalion level down to the squad. The briefing slides, obtained by Marine Corps Times via Freedom of Information Act request, displayed a wide variety of small tactical drones generally weighing under 55 pounds with an array of capabilities and varying flight radii. Marine Corps Combat Development Command/ Combat Development & Integration, or MCCDC/CD&I, told Marine Corps Times that the slides were no longer current and that “significant updates” have already been made to the Corps’ fixed wing and vertical take-off and landing systems. 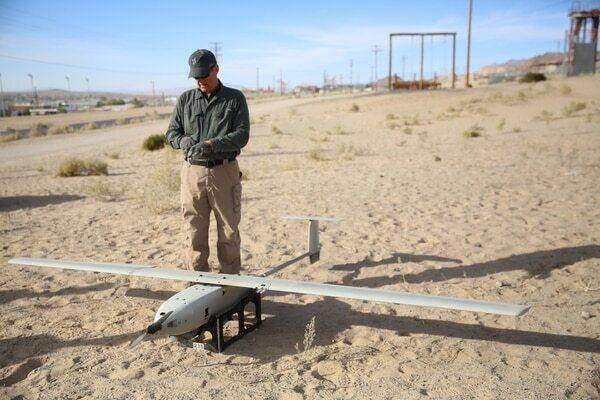 But the drone briefing last January does provide a window into the Corps’ desire to stretch the range of its drones, its growing reliance on unmanned systems, its preparation for future warfare, and how the Corps is trying to keep pace with a technology rapidly evolving. 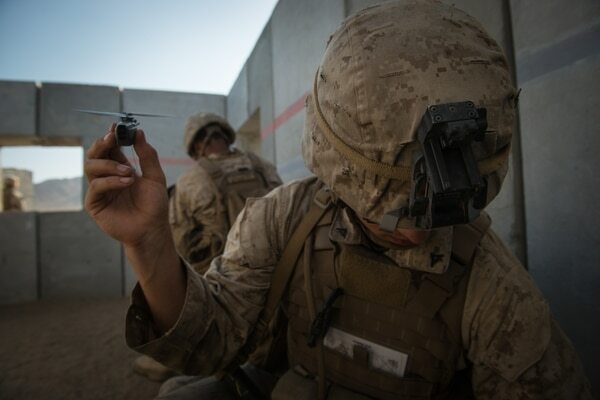 Small tactical drones “organic to tactical maneuver units, generally at the battalion level and below provide battlespace awareness and target development in support of squads, platoons, companies, battalions and Marine Special Operations Teams and Companies,” MCCDC/CD&I said. Included in the brief were the fixed wing Stalker XE and quadcopter Aeryon SkyRanger. These systems have not been highly publicized as being in the Corps’ fleet of tactical drone systems, unlike the widely known Instant Eye already fielded across the Corps’ squads. Lockheed’s Stalker XE is a roughly 26 lbs fixed wing drone with a 50 km range that can fly up to eight hours with a fuel cell. The drone has been in use with Marine Corps Forces Special Operations Command, or MARSOC. 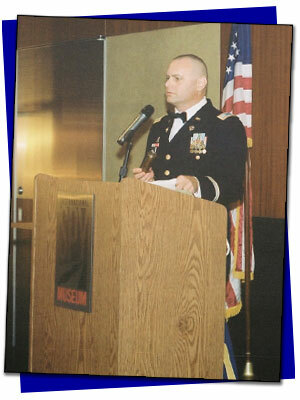 According to the briefing slides, MARSOC had high praise for the system, calling it as flexible and a force multiplier. The Aeryon SkyRanger is a quadcopter drone with a roughly 5 km range. Both these drones may find their way into the inventories of conventional Marine forces. However, MCCDC/CD&I said the drones highlighted in the presentation were “representative” platforms based on the capabilities they provide. “For example, the Stalker XE offers a capability desired by the infantry battalions but no decision has been made on a future performer for this capability at that level in the regular Marine Corps formation,” MCCDC/CD&I said. Though, the Stalker XE did participate in the 2017 iteration of the Steel Knight exercise held aboard Marine Corps Air Ground Combat Center Twentynine Palms, California. Moreover, the Corps is about to kick off a field user evaluation with a series of small tactical drones that will include PSI Tactical Robotics’ InstantEye Gen 5, Aeryon Lab’s SkyRanger, FLIR’s PD 100 Black Hornet and Lockheed Martin’s Indago, according to Jamie Cosgrove, a spokesman for Naval Air Systems Command. The evolution and proliferation of drone technology has been moving at light speed, which is creating a slew of challenges for the Corps as it tries to keep pace with advancements and changing dynamics on the battlefield. But MCCDC/CD&I said the Corps’ drone acquisition strategy is focused on capability sets and interoperability, not necessarily any specific platform.